What's so good about affiliate marketing? Home > Affiliate marketing > What’s so good about affiliate marketing? Welcome to this post about affiliate marketing! Maybe you’ve come across this article because you’ve been looking to earn money online and have heard about affiliate marketing, so you want to know how it works and whether it’s for you or not. Or perhaps you’ve tried affiliate marketing before but haven’t had the results you expected so you’re searching for more information to know what you can improve and do better. 2.1 Who is involved in affiliate marketing? 2.3 What does a merchant do? 2.4 What does an affiliate marketer do? 3 Start affiliate marketing for free! What does affiliate marketing mean? Where does it come from? In short terms, you (the affiliate) promote other people’s products and earn a commission each time someone buys them thanks to you. It was first put into practice by William J. Tobin (the founder of PC Flowers & Gifts), who had launched a commercial version for his company’s website by 1995 and had 2,600 affiliate partners around the World Wide Web. But it wasn’t until July 1996 that Amazon launched its associate program, which was the first affiliate program to become widely known and serve as a model for posterior programs. Are you ready to know what makes affiliate marketing so simple but lucrative at the same time? Let’s also see who’s involved in this business model and how it works in this section. 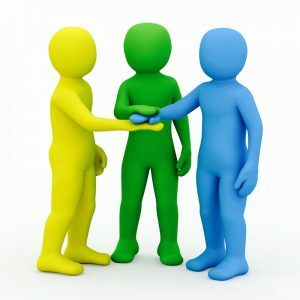 Who is involved in affiliate marketing? The creator (also known as the merchant, the retailer, the brand, the seller or the vendor). This is the party that creates the product/service. It can be a big company or a single person. The network. A network works as an intermediary between the creator and the affiliate. It can serve as a database of lots of products and it also takes care of the product delivery and the payment. The network is not involved in case the product delivery and the payment are handled by the merchant. The affiliate (also known as the publisher). This party is in charge of marketing the merchant’s product. Affiliates can range from single individuals to big corporations. The consumer. Just like in any business, the customer is who buys the merchant’s product. Without this, there’s no profit for the merchant nor the affiliate. The affiliate shows an ad or a link provided by the merchant on their website. The customer visits the affiliate’s website and clicks the ad or link. The customer is sent to the merchant’s site through a tracking link. The customer buys the merchant’s product. 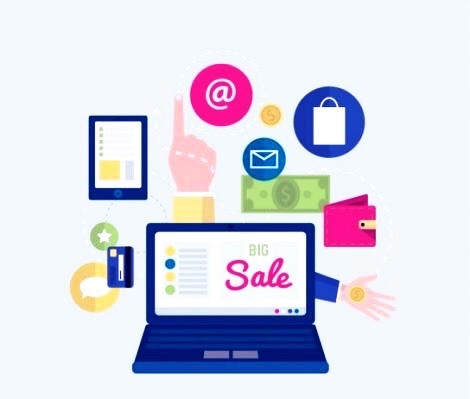 The affiliate network records the purchase and details of the transaction (the merchant does this in cases where the network is not involved). The purchase is confirmed by the merchant as a valid sale. The customer receives the product. The affiliate gets paid a commission. What does a merchant do? Choose a topic you’re interested in. This one is essential, the more passionate you are about the topic, the easier it will be for you to create a product related to it and the more fulfilled you will feel about your work. Have a product idea related to that topic. You can have an idea by looking at other products or services that are already out there and trying to create a better version of those products. Validate your product idea. Before you create the product, you need to make sure that there’s people who want it and are willing to pay for it. Create the product. Take into account that creating a physical product will require a bigger investment than creating a digital one. Find affiliates to promote the product. Once your product is created and launched, you’ll need to find people to promote it, and you’ll pay them a commission whenever they make a product sale. Choose a niche/topic you’re passionate about. This one is important, you’ll want to work in a field you’re interested in not to stay motivated in the long run. Find affiliate programs related to the topic you’ve chosen. There are affiliate programs for everything and the good news is that most of them are free to join, so you can join thousands of them lol. Build a website/blog. You’ll need a platform to connect with your target audience. Create content related to your niche. Providing content relevant to your audience is essential to attract visitors. Promote something your audience needs. Depending on your visitors’ needs, you’ll choose a product from the affiliate program you’ve joined and recommend it to them (using the affiliate link provided by the product creator). The company (or seller) who has created the product won’t have to spend time marketing their product because the affiliates will do it for them, so they’ll be able to spend more time on improving their service. They’ll benefit from the product sales the affiliates make. The only “effort” they’ll have to make is to pay the affiliates a commission each time the product is sold and handle the product delivery (unless a network is involved). The affiliate will also be glad that he/she’s received a commission for each product sale he/she’s made. Affiliate commissions usually range from a 5% to a 75% of the product’s price, depending on the merchant and the kind of product. Take into account that commissions are bigger in digital products than physical ones, since digital products usually cost less to create and deliver. And well, the customer will also be satisfied because he/she’s solved a problem and has also met their needs thanks to the product/service recommended by the affiliate. As you can see, affiliate marketing is a business model easy to understand and beneficial for everyone who takes part in it, and that’s what makes it sustainable and legitimate. There’s a lot of people out there who don’t have a good opinion about the affiliate marketing industry. Some believe that it’s a scam because it’s related to “making money online” and others don’t think it works because they expect to get rich quick, which is unrealistic and not possible. “Simple and lucrative” doesn’t mean “easy and instant riches”, it takes hard work and effort to be successful in anything you want! Start affiliate marketing for free! Don’t you find it’s cool the fact that you can become an affiliate marketer without spending a coin? What I don’t recommend is that you sign up to affiliate programs that don’t offer anything related to the topic you’ve chosen, that’s why you should make a list of all your interests before joining an affiliate program. Another thing is, having the proper guidance and training will help you along your path to success, and this is one of the many reasons why I recommend Wealthy Affiliate as a platform to create and grow any online business. Perhaps you’re like “This sounds amazing, Miren! But how much does it cost to join Wealthy Affiliate?”. Well, if you’ve read my Wealthy Affiliate review or have heard of it before, then you may know that it’s totally free to get started, no credit card required! And finally, what about you? Have you tried affiliate marketing before? Why Wealthy Affiliate is NOT a Scam! Speed Feeder review – Is it a scam? This site will prove to be a valuable resource for people who have wanted to start an online business but haven’t been sure how to approach doing it. Great stuff – a good read. Miren what an awesome explanation of Affiliate Marketing. You didn’t leave anything out so no one needs to guess after reading this. I was very surprised to know that the first person to start this was the William Tobin. Thank you for being so thorough. Hi Miren. Well written, well thought out article which goes deeper than the usual “merchant + affiliate = affiliate marketing ” simplistic approach. You have explained it very well, with nice info graphics to back it up. Hi, Miren, thank you for this informative and thorough article, affiliate marketing is the best and most profitable business model, as you stated in your article, everybody wins and that’s right! Another thing I love about Affiliate marketing is you can make money while you sleep! Of course, you need to stay up many nights to make the happen, but it’s totally worth it! Thanks for sharing this awesome post and have a great day ahead! I totally agree with you, Anis! It’s great that affiliate marketing is beneficial for everyone who’s involved and yes, passive income rocks because that’s money that comes in without you needing to be actively working, and as you said it takes a lot of hard work to achieve that, especially at the beginning! I have read your article in detail. I have found out that affiliate marketing business is becoming popular yet successful, now a days. Most of the news companies have also released many articles related to successful affiliate marketing business. I guess it is trending now . I think i should also start this new venture being at home now. Your article is worth reading. Thoughtful, well thought out article. 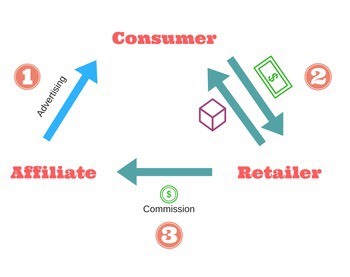 Great explanation of affiliate marketing. Kudos to you. Wishing you the best of luck with your online business. 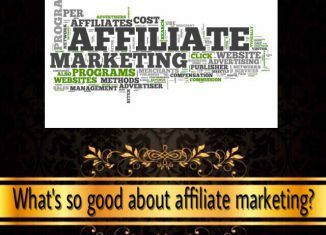 Thanks for providing the detail information about affiliate marketing, it was really useful for the newbie like me.I refer your article for the queries related to affiliate marketing. Everytime there is a negative review of a program – you can be sure that the blog promotes wealthy affiliates. How pathetic these affiliates are. Piggy backing on baching other programs, to promote the lausy wealthy affilaite. Not all my reviews are negative, I guess you haven’t read them all. And when they’re negative, I provide explanations and proofs to say that. So sad that you cannot handle the truth if it’s not convenient for you. Have you even tried Wealthy Affiliate? If you have tried it, feel free to explain what’s wrong with this platform. If you haven’t, then I don’t understand why you felt the need to comment. What you have said will not stop me from doing what I have been doing because it has helped other people. Anyway, I hope next time you consider how your words are going to affect other people.